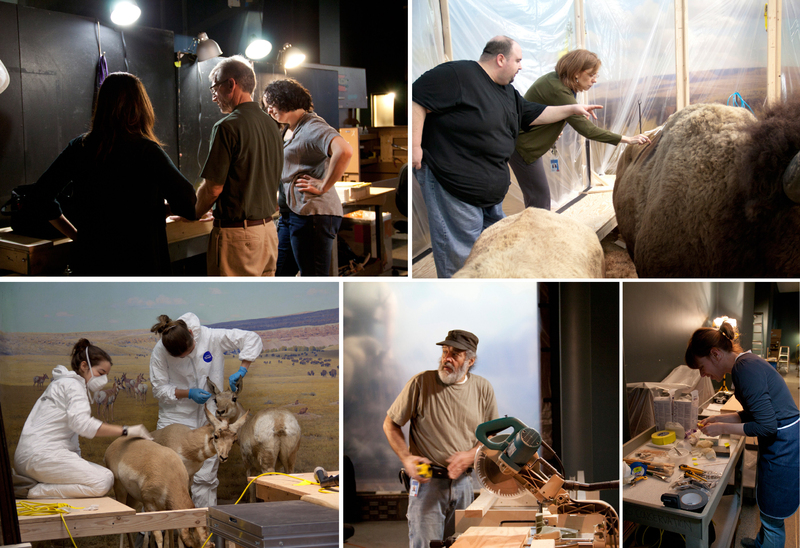 Badly in need of restoration after over 70 years of exposure to high light levels, temperatures, and fluctuations in relative humidity, the iconic habitat dioramas in the Bernard Family Hall of North American Mammals were renovated in 2011-12. Among the most significant problems was fading observed in the taxidermy specimens. Some members of the diorama renovation team: (clockwise from upper left) Director of Natural Science Conservation Lisa Elkin, Museum Exhibition Project Manager Stephen Quinn, Assistant Conservator Elizabeth Nunan, Project Taxidermist George Dante, Director of Anthropology Conservation Judith Levinson, Museum exhibit preparator Joi Bittle-Knight, Museum exhibit preparator Richard Webber, Conservation Fellows Julia Sybalsky and Bethany Palumbo. 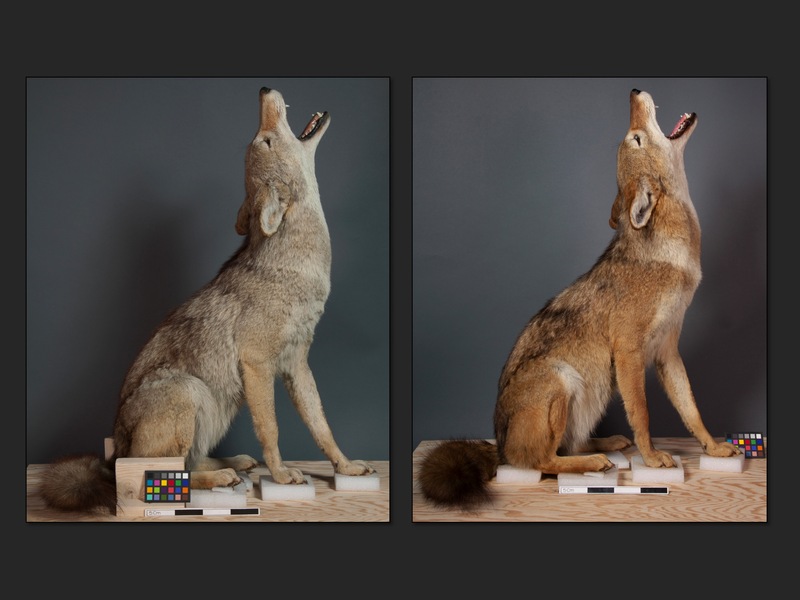 The diorama renovation team (curators, conservators and conservation scientists, exhibit preparators, taxidermist) faced a number of challenges in choosing an appropriate colorant to restore the faded taxidermy in the dioramas. One of the most immediate difficulties was the short project timeline, which limited the type and extent of research that could be done. There was only one year for all of the renovation work to take place, from start to finish, with 45 dioramas and over 100 taxidermy specimens. A maximum of only 2 months within that year could be allotted for research and testing of possible colorants for the faded mammals. In addition to the limited research period, there were several other critical factors that restricted the materials that could be considered for re-coloring. Even with the new energy efficient lights, the naturalistic lighting design in each diorama did not allow us to reduce light levels to what is generally considered acceptable for museum collections. The highest recorded light levels are 65 footcandles (fc) on the top of the mountain goat and 50 fc at the head of the cow in the bison diorama, whereas the recommended level for fur at the Museum is 5 foot candles. 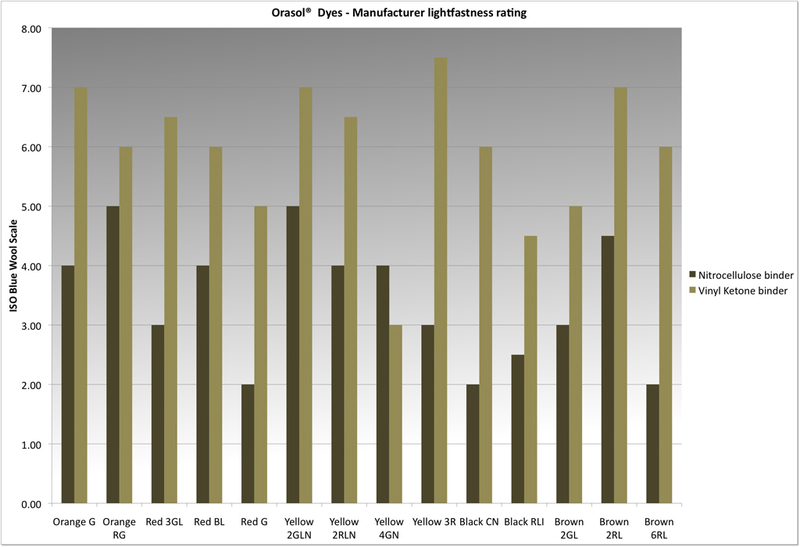 Therefore, even with somewhat reduced light exposure, it was clear from the outset that any colorant considered for use would have to have high light-fastness ratings to limit fading under the harsh diorama conditions. 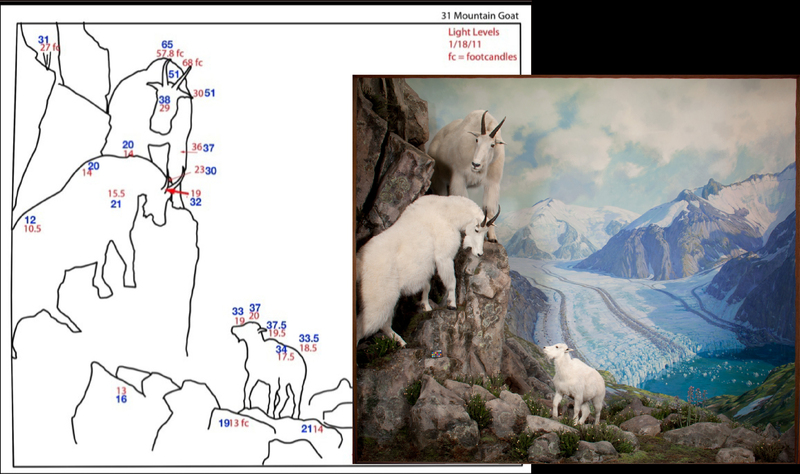 Light levels in the Mountain Goat diorama. 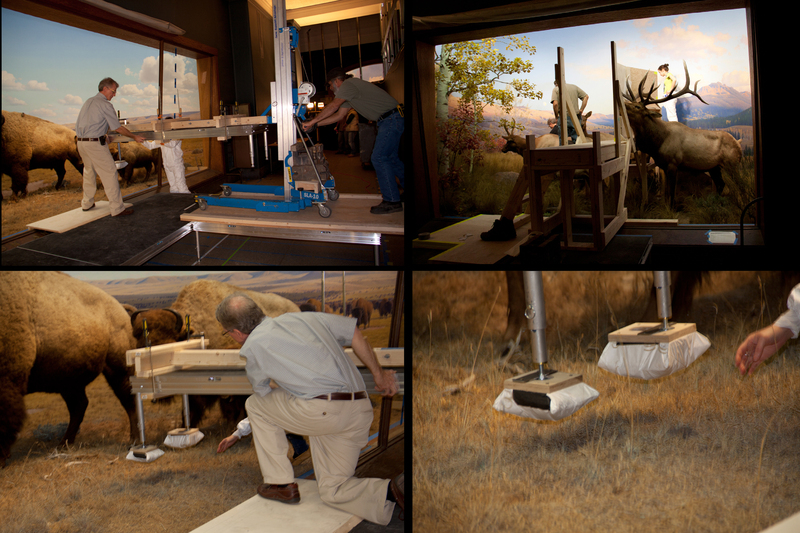 Because the larger taxidermy mounts had to be treated in situ, custom built platforms to avoid crushing the fragile foreground materials were required to provide safe access. 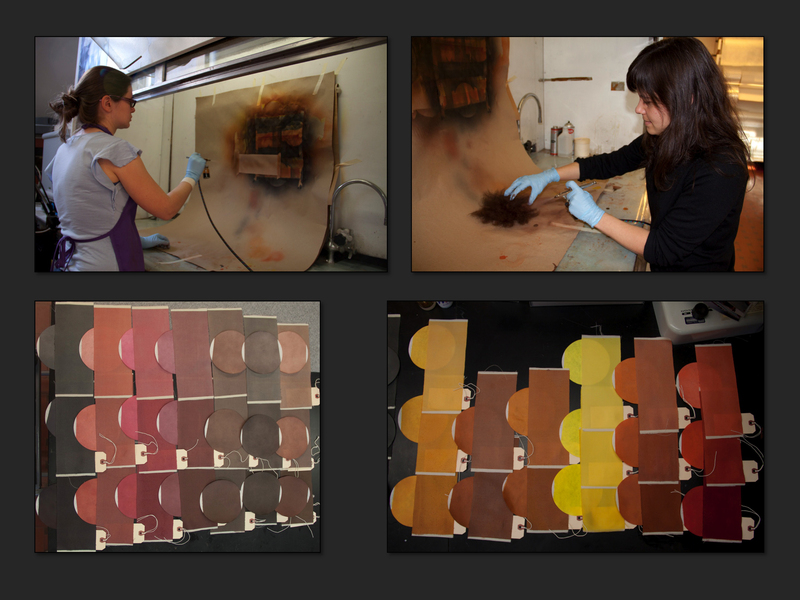 Washing or rinsing excess coloring materials from the specimens would not be possible. Ease of preparation, application, and clean up were all important considerations when choosing a colorant. The use of certain solvents was restricted because possibilities for effective fume extraction inside the dioramas were limited. Additionally, because half of the exhibition hall was required to remain open to the public over the duration of the project, control of solvent fumes was critical. Project taxidermist and artist wearing respirators during recoloring. Because the dioramas would probably not be renovated again for at least 25 years due to associated costs, favorable aging characteristics, reversibility and ease of future retreatment were important factors in choosing recoloring materials. The colorants selected should not cause the hairs to clump or mat, and if not fully reversible they should not prevent future recoloring projects on these irreplaceable taxidermy mounts. Investigation of the conservation literature on contemporary methods for coloring taxidermy revealed few references. 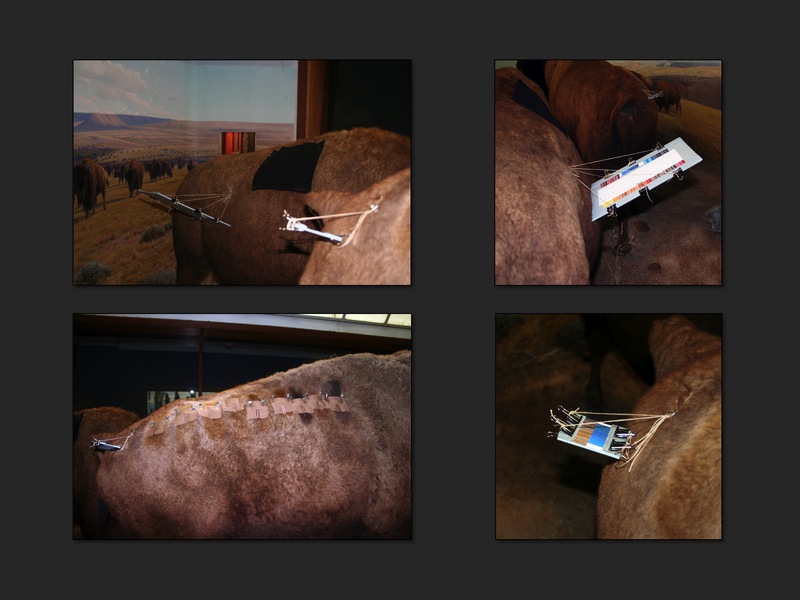 Through personal correspondence, some museums reported success recoloring some of their taxidermy mounts using Clairol commercial hair dye, but their situation allowed for the removal of the specimens from the diorama for treatment, and the long-term stability of those dyes are not known. 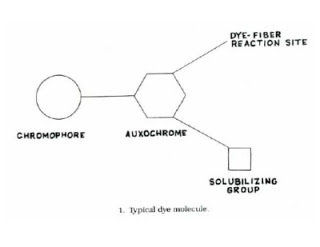 Other recent studies investigated fiber-reactive dyes for feather recoloring, but the approach was ruled out due to concerns about water-based treatments having an adverse effect on the tanned taxidermy hides, as well as the long-term effects of the acidic or basic dye residues. 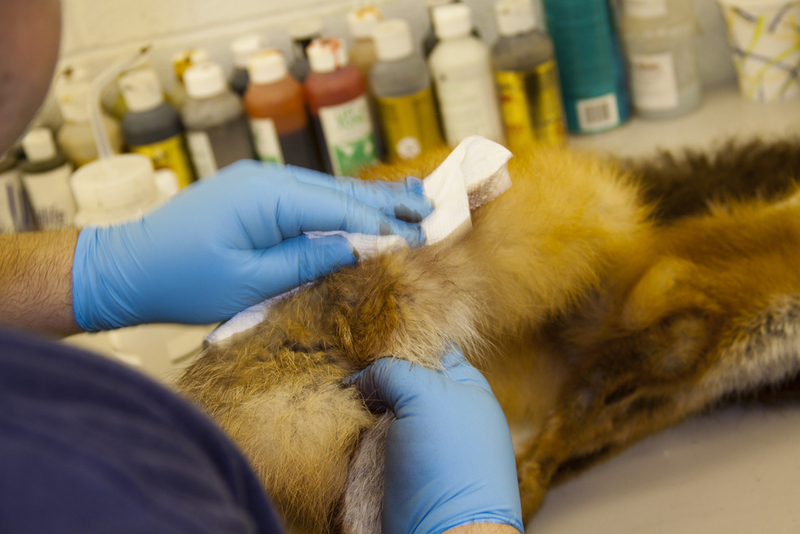 Water and solvent-based acrylic paints are commonly used among contemporary taxidermists. 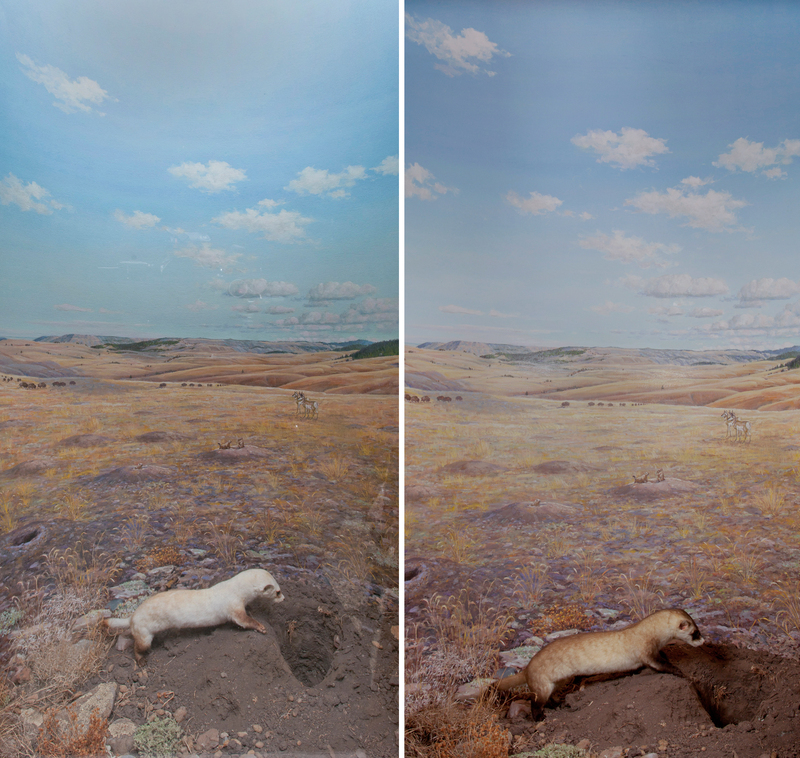 When used inside habitat dioramas, reversing acrylic paints for retreatment would be very problematic. Also, due to their low glass transition temperature, it is possible that the paints would remain soft in the heat of the diorama lamps, entrapping dust and hindering future cleaning. The project taxidermist’s familiarity with commercially available acrylic paints and his skill with airbrushing played a tremendous factor in determining what other colorants would be considered. An echidna mount restored and recolored by taxidermists at Wildlife Preservations, Inc using acrylic airbrush paints. His method for restoring faded specimens consisted of layered airbrush applications with constant grooming throughout the process in order to control the hue and intensity of the color. Any alternative colorant would need to be applied in a similar manner, in order to fully utilize the taxidermist’s skill in this method, and to meet the tight project deadline. 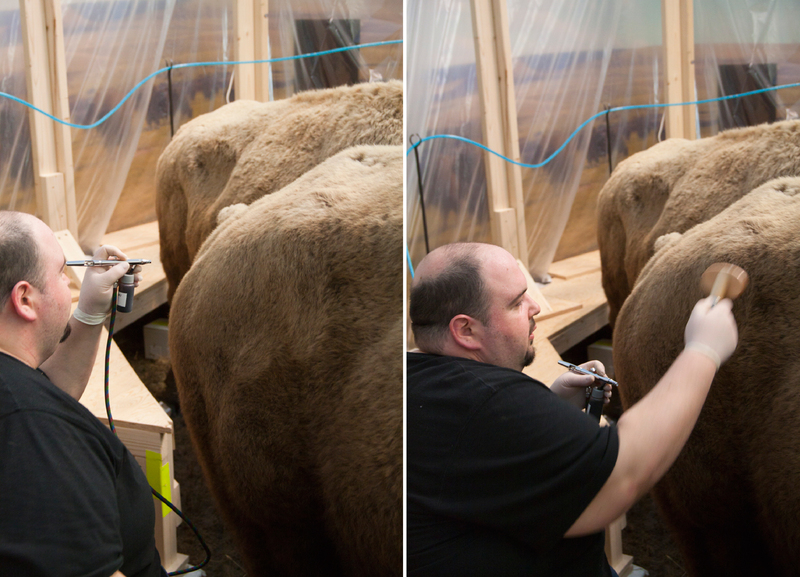 Taxidermist George Dante recoloring a bison mount. The next post will discuss the colorants that the research team chose, as well as the tests conducted to determine whether they met the necessary criteria for minimal alteration to hairs, high lightfastness, and retreatability/reversibility.